In this book, Hodge takes into account the Christological, theological, and ecclesiological ruminations of a selected group of Hip Hop and rap song lyrics, interviews, and interviews from those defined as Hip Hoppers. The aim of this examination is to ascertain what a Hip Hop theology of community might entail, how it may look, and what it could feel like. 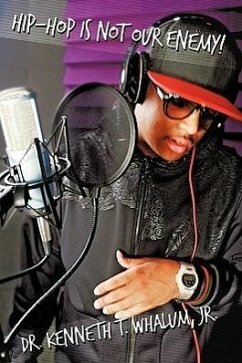 The central premise are questions: does a Hip Hop 'theology' even fit? Is there an actual motif which Hip Hoppers are espousing within the supernatural realm? This study concerns itself with just over 8,500 songs. Its timespan is between 1987-2011, and it contains interviews from those in the Hip Hop community. "In 1970, social theorist Mary Douglas demanded that theologians step their game up by changing the rules of [their] game. 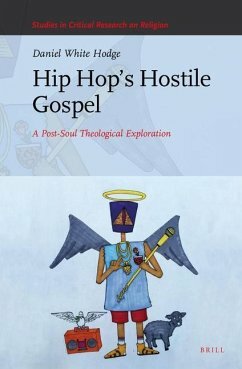 In HostileGospel, Hodge challenges a number of theological 'rules,' adding to an ongoing discussion about why hip hop matters so much to so many, and he gives contemporary, contextual theology a new rule book that might even have the late Douglas bobbing her head to the theological beat." "Not content to stay pat on his seminal work The Soul of Hip Hop , Daniel White Hodge offers the reader a tour de force theological exploration of Hip Hop in the Hostile Gospel. Starting with the question does a hip hop theology fit our understanding of theological expression, Hodge takes the reader on a deep contextual understanding of hip, religion, theology and faith. In so doing, Hodge invites us to expand our understanding of these terms. This is a must read for those working in Hip Hop, Religious, or Ethnic Studies as well as those who serve in youth ministry and the church."